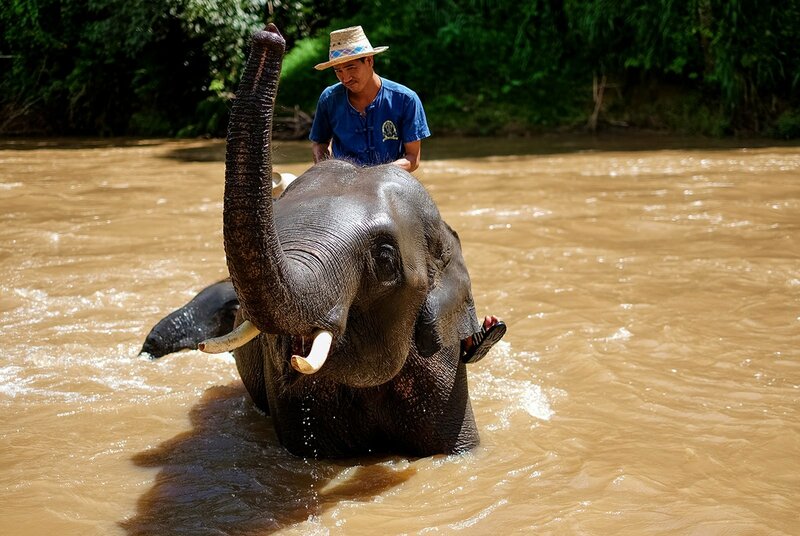 We welcome you to our Elephant Park & Elephant Clinic in Chiang Mai, nestling quietly on the banks of the Maetaeng River in the beautiful Maetaman Valley, just 50 kilometers north of Chiang Mai City in Northern Thailand. 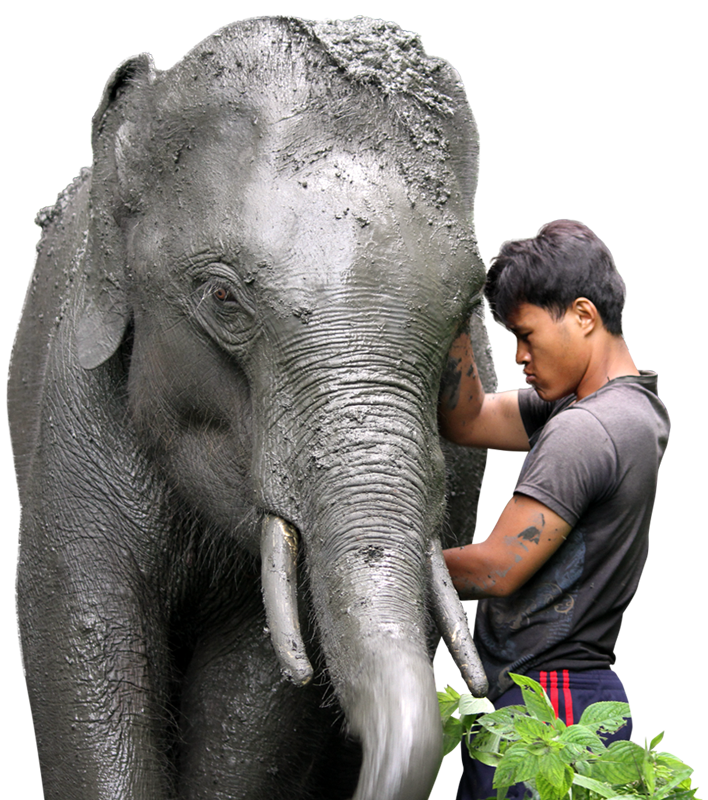 The Chailert family are well known in Thailand for their knowledge, respect, love for the elephants, as well the environment here in Maetaman valley. “We are devoted to the long term future of the elephants and those who care for them”. Our Elephant Clinic offers Free treatment available to all elephants in our area. Our full time vets and medicines are financed by the proceeds from the Park and the sale of products. Visit us and join us in helping the Asian elephants. 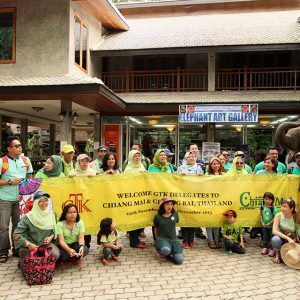 Maejo University give Maetaeng Elephant Park the thumbs up as a green tourism development (7 Greens). The concept has been initiated with the determination and eagerness of the Tourism Authority of Thailand, as the main agency overseeing the tourist industry of the country, to take responsibility and to persuade all parties concerned to join hands in creating a new “environmentally – friendly” tourism chapter in the future. 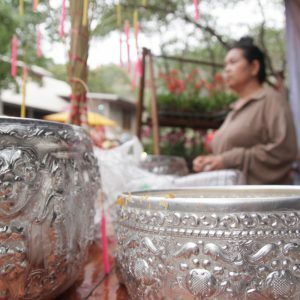 Experience, Bamboo Rafting, Ox Cart rides, an introduction to Rural life in Thailand, and more. This year Maetang Elephant Park celebrated its 19th Rod Nam Dam Hua (SongKran) in honor of Mr. and Mrs. Sanguan Chailert SR.
Baby Dattaji arrives into our world. What a joy and such a wonderful little guy. Mother, Dad and baby are all doing fine. The Maetaeng Elephant Park was honoured to welcome Tuanku Syed Faizuddin Putra Syed Sirajuddin Jamalullail – Raja Muda of the Malaysian state of Perlis. 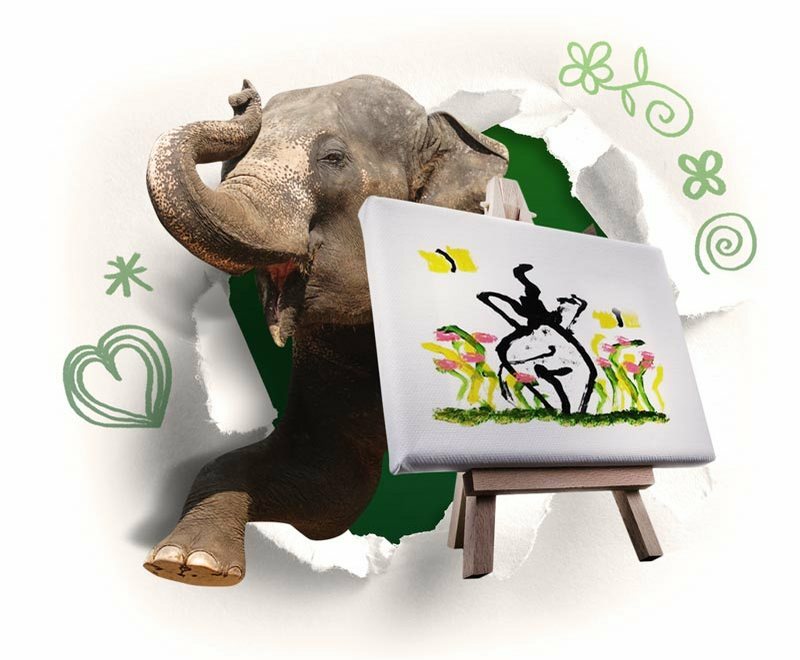 By purchasing the elephant paintings you are directly contributing to the welfare of the Asian elephant in Thailand.